Karen Batia has been on the front lines of providing services to vulnerable populations, harnessing collaboration among an array of entities to create ways to coordinate care. Prior to joining HMA, Karen served as chief executive officer of Together4Health, LLC, executive director of Heartland Health Outreach, and vice president of Heartland Alliance for Human Needs & Human Rights in Chicago. Karen founded and implemented Together4Health, a start-up provider-led Care Coordination Entity (CCE) owned by more than 34 organizations, including hospitals and social service, primary care, and behavioral health providers across Cook County. The CCE served vulnerable Medicaid-insured populations in Cook County. She established the company and model of care, staffed governance of the company and management team, and created strategic and annual plans that achieved participant enrollment, health outcomes and financial goals. As executive director of Heartland Health Outreach (HHO) and vice president of Heartland Alliance for Human Needs & Human Rights, she oversaw primary and oral health services, outpatient and residential mental health and addictions treatment for HHO’s specialty Federally Qualified Health Center (FQHC). The FQHC was dedicated to Healthcare for the Homeless services, refugee health programs, cross-cultural interpreting services, and a continuum of other services that support people with limited access to care. She designed and implemented integrated health services incorporating programs that impact the social determinants of health to better position the agency to respond to health care reform. Karen previously served as senior director of Heartland Health Outreach’s Mental Health & Addiction Services, where she oversaw program development, fundraising, fiscal management, strategic planning, and all other aspects of managing 15 outpatient and residential programs. Target populations included individuals with a severe and persistent mental illness, who are homeless, and who often have a co-occurring substance use disorder, as well as refugees. 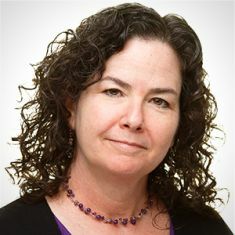 During that time, she also spearheaded creation of the Midwest Harm Reduction Institute and served as Heartland Alliance’s chief clinical officer, overseeing clinical care and quality for HHO and its partner organizations, including development and implementation of its philosophy of care. She received her PhD and master’s degrees from the Gordon F. Derner Institute of Advanced Psychological Studies of Adelphi University, Garden City, New York, and her bachelor’s degree from the University of Michigan. Karen, her husband and two sons enjoy traveling, and this hockey mom loves to cook.